The Favourite is set in 18th century England, during the reign of a frail and oftentimes mercurial Queen Anne. Close by her side is her friend, Lady Sarah Churchill, who effectively rules in Anne’s stead. 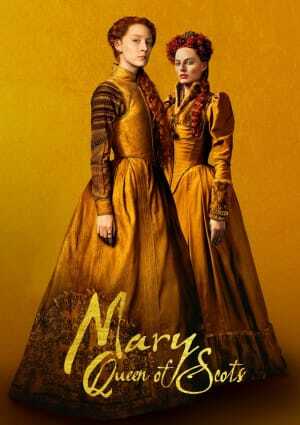 Sarah’s influence and relationship with the Queen are challenged with the arrival of Sarah’s impoverished younger cousin, Abigail Hill, who comes to court Anne for her favor. The Favourite portrays the relationship between Queen Anne and Sarah, as well as Queen Anne and Abigail, as romantic and sexual, though historians would beg to say otherwise. Anne’s copious sexual intimacies with her husband (which resulted in 17, sadly failed, pregnancies), her declining libido due to her age and worsening health, her prudery and a strong sense of Christian morality immediately render the portrayals as creative liberties. 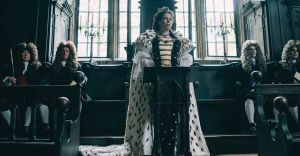 Despite this inconsequential historical inaccuracy, The Favourite plays into the substantial historical fact that royal courts did have “favorites”. Rulers would employ the company of intimate companions. Monarchs held on to their favorites because of their skills and sometimes engaged in sexual activities. However, they were only held in high regard by their sovereign and were loathed by the nobility. Some favorites could be noted since biblical times such as David, a favorite of Saul; Joseph, a favorite of the Pharaoh. There is no denying that The Favourite’s expertly-written screenplay is a product of hard work and erudition. So when people say that credit must be given where it is due, Deborah Davis and Tony McNamara's names should be on the top of the long list. These two screenwriters are geniuses of their own time. 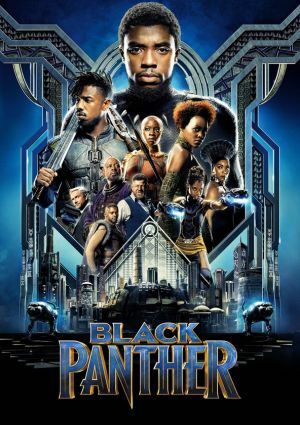 They did not just bring something refreshing to the haven of period films, but they also took a plunge into an endeavor that eventually showed a story rarely read in the extant literature of history. This just makes them a tenfold worthy of acclaim. Director Yorgos Lanthimos also deserves genuine respect for giving an endearing life to the screenplay. Lanthimos is no stranger to avant-garde and notable cinematic styles. 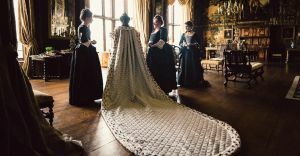 The Greek director’s time-proven skills have long been in high gear since the onset of the 21st century, and with an abundance of accolades in his hands, it is not shocking news that The Favourite brimmed with artistic visions in the big screens upon its release. 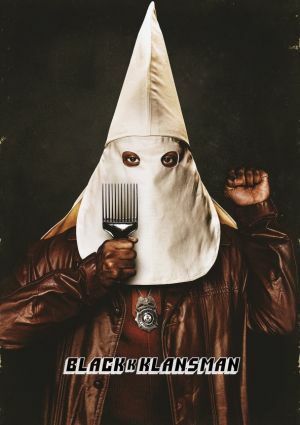 Of course, the costume design was, without any iota of doubt, remarkable. There is nothing less to expect but a magnificent spectacle of sartorial designs from the three-time Oscar Award-winning Sandy Powell. Her adroit hands in fashion yielded a more tantalizing view of the 18th century and of Queen Anne. These unparalleled talents off-camera are complemented by the film’s golden-tongued lead cast: Olivia Colman, Emma Stone, and Rachel Weisz. Since Lanthimos has always given paramount importance to casting, he was nothing short of brilliant for choosing the trio for his masterpiece. 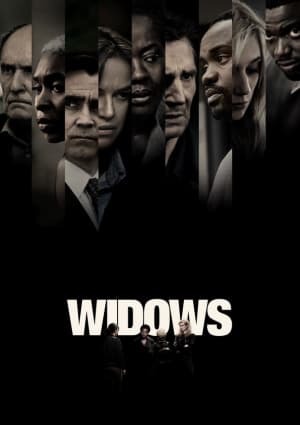 Colman, Stone, and Weisz’s unrestrained charisma and seemingly natural banters proved that they could magnify the comical element that was added to the already bizarre yet graceful storytelling. 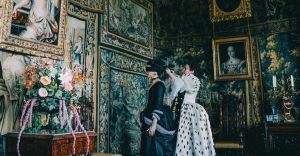 Overall, The Favourite may not cater to the conventional and hackneyed palate, but it is surely successful in producing fleeting undercurrents in its audience. 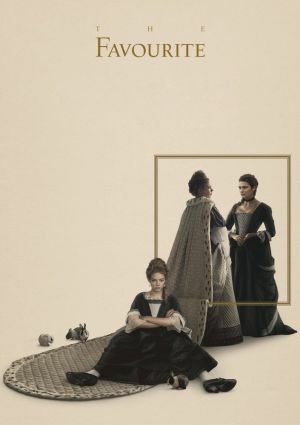 The Favourite is the 2018 “punk Restoration romp” by director Yorgos Lanthimos, featuring the story of Queen Anne whose favor was competitively being won by two women. 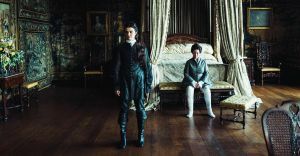 Olivia Colman takes on the role of the British monarch, alongside Rachel Weisz as Lady Sarah Churchill, companion and confidante to Anne since childhood; and, Emma Stone as Abigail Masham, Sarah’s ambitious younger cousin. 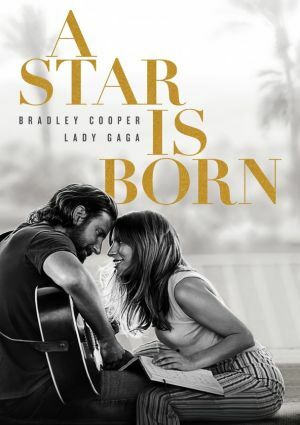 Its world premiere during the 75th Venice International Film Festival on August 30, 2018, earned it the Grand Jury Prize and a Volpi Cup for Best Actress for Colman’s performance. 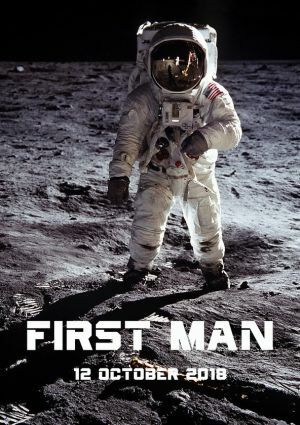 It also swept up 7 out of the 12 nominations it had at the BAFTAs.